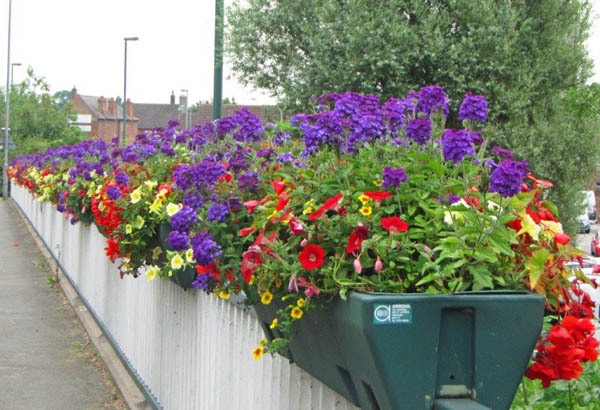 Green-fingered successes were honoured with a presentation of awards for the best entries in the Retford in Bloom competition. The annual contest captured the imagination an gardening skills of businesses, residents and school children. A ceremony was held in the ballroom at Retford Town Hall, with the awards being presented on behalf of the Civic Society by the President of Retford Rotary Club, David Towers together with the Deputy Mayor Helen Richards. Gardeners of all ages and sizes, from primary school children to older and far more experienced people, gathered to receive their certificates and enjoy an excellent buffet afterwards. The Rotary Club of Retford ( Percy Laws Memorial Fund) sponsored this year’s event. This year certificates were awarded in four main categories – residential, shop and business fronts, public houses and schools, together with special community awards. Large Garden – 1 St Helen’s Road & 12 Park Lane. Small Garden – 39 Gomersall Close. Large Garden – The Barn, Rectory Road. Small Garden- 9 West Park Place. Large Garden – 95 North Road. Small Garden – 4 Clifton Way. Large Garden – 33 High Street, Ordsall. 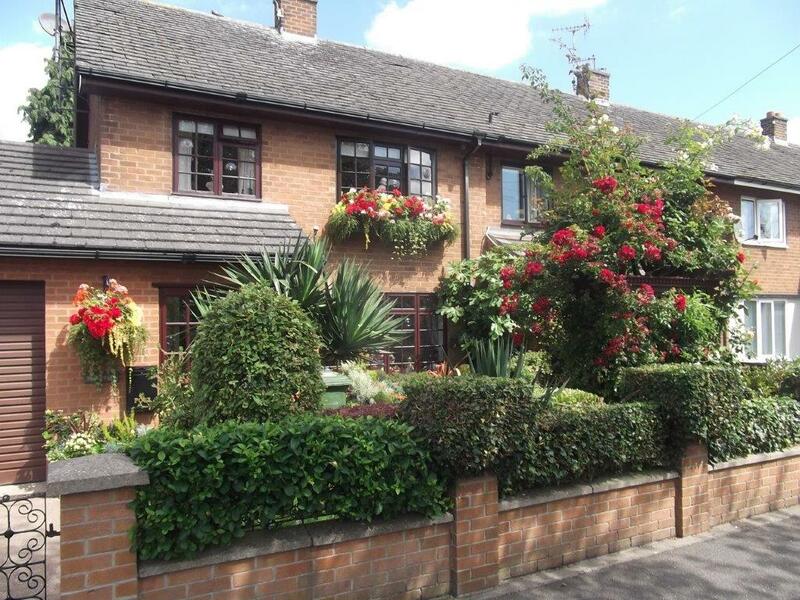 Small Garden – 17 Gleneagles Way, Ordsall. The Maggie Battersby Shield was presented to Thrumpton Primary School for the second year running to acknowledge the continuing development of the school garden and growing projects throughout the school. The award was presented by John and Dominic Battersby. Shirley Pickersgill for her work over many years creating floral displays at Retford Bowls Club. Retford Civic Society Litter Pickers for their work keeping Retford clean and tidy. Alf Needham for maintaining the flower borders in front of Goodwin Hall for many years. 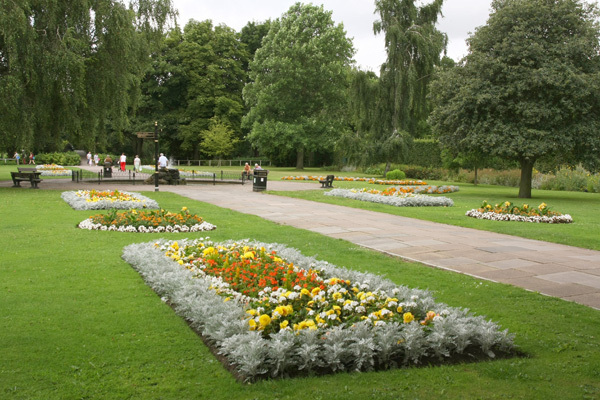 Bassetlaw District Council – Horticulture – Parks and Open Spaces for the high standard of maintenance of Kings’ Park and the floral displays throughout the town. 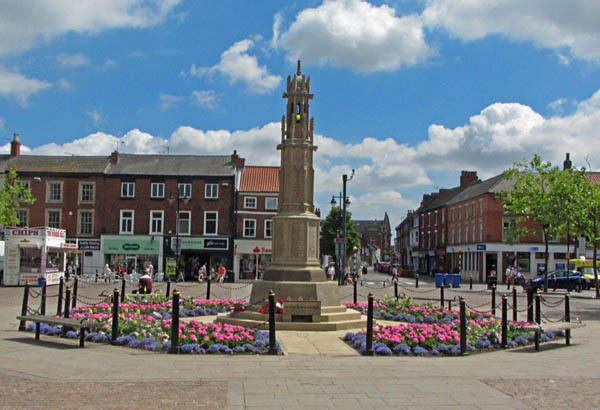 Retford Business Forum for their support of the Retford Hanging Basket Scheme. 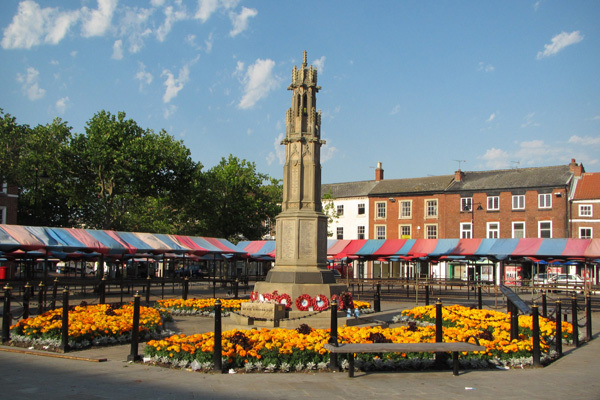 Kierson Window and Timber Restoration for jointly sponsoring the Retford Hanging Basket Scheme. The annual contest captured the imagination and gardening skills of businesses, residents and school children. A ceremony was held in the ballroom at Retford Town Hall, with the awards being presented on behalf of the Civic Society by the President Elect of Retford Rotary Club, David Towers. The Rotary Club of Retford sponsored this year’s event. Large Garden – 5 Palmer Road. Small Garden – 12 St Saviours Close. Large Garden – 2 West Park Place. Small Garden- 23 Whinney Moor Way. 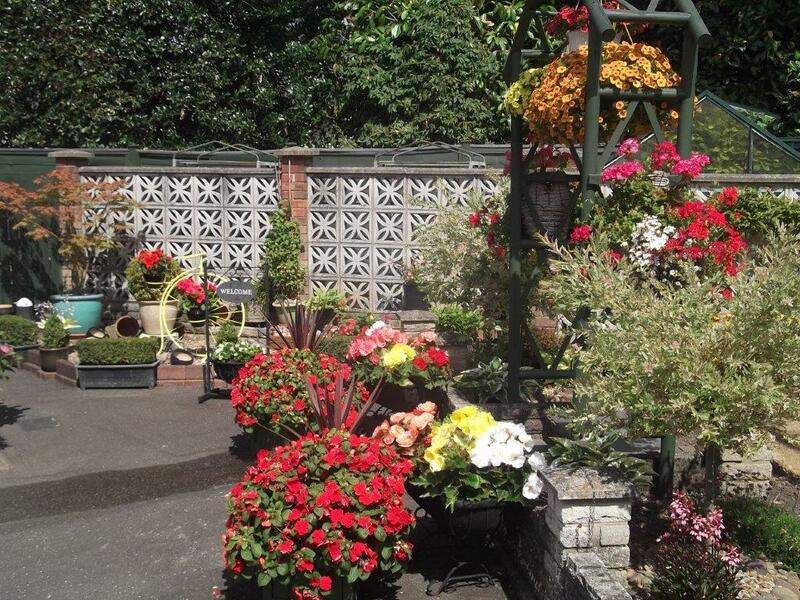 Large Garden – 7 Earls Court. Small Garden – 17 Redforde Park Avenue. Large Garden – 41 High Street, Ordsall. Small Garden – 59 The Oval, Ordsall. The Whitehouses also received a special award for consistently providing excellent floral displays over a number of years. The Maggie Battersby Shield was presented to Thrumpton Primary School to acknowledge the continuing development of the school garden and growing projects throughout the school. Ordsall Primary School also received an award for their Retford in Bloom inspired Insect Garden. 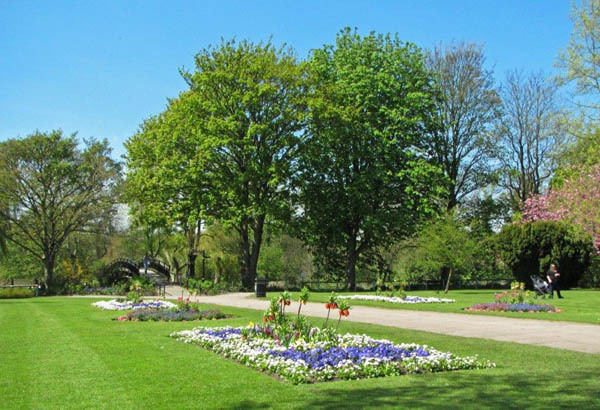 The 2015 Community Award was presented to the Kings’ Park Volunteers in recognition of their valuable contribution to the green landscape of Retford by supporting the work of the Kings’ Park ground staff. A ceremony was held in the ballroom at Retford Town Hall, with the awards presented on behalf of the Civic Society by the Town Mayor, Councillor Ann Battey and the President of Retford Rotary Club Jack Anderson. The Rotary Club of Retford sponsored this year’s event. This year certificates were awarded in four main categories – residential, shop and business fronts, schools and public houses, with a special community award. Large Garden – 17 Cornwall Road. Small Garden – 18 Pennington Walk. 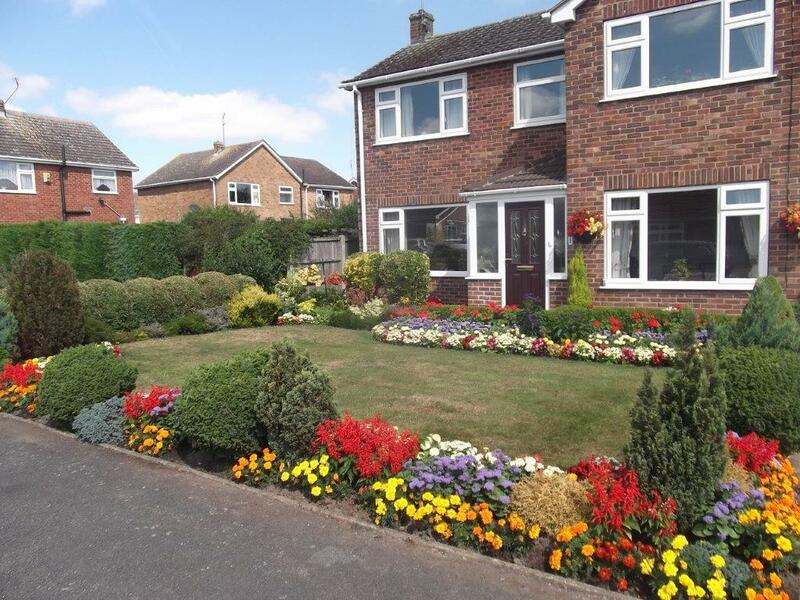 Large Garden – 3 Babworth Crescent. Small Garden- Rectory Barn, Rectory Road. Large Garden – 12 The Bungalow, Windsor Road. Small Garden – 11 The Bungalow, Windsor Road. 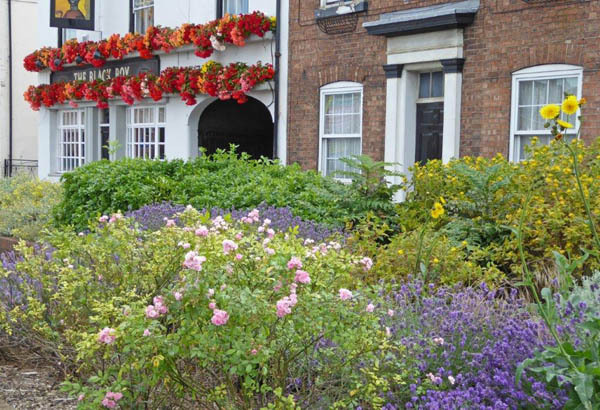 Large Garden – 33 High Street, Ordsall. Small Garden – 17 Gleneagles Way. A Special Award was presented to Bracken Lane Primary School to acknowledge the continuing development of the school garden and growing projects throughout the school. 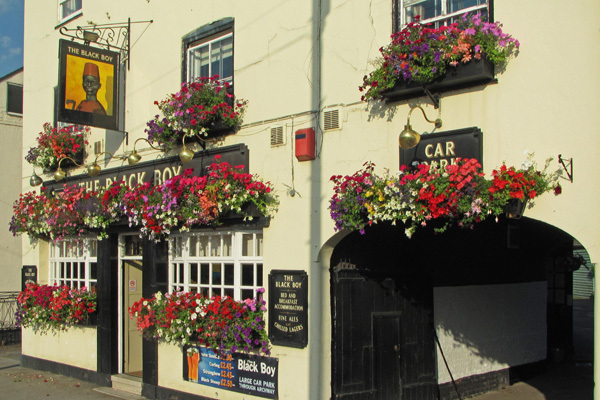 The 2014 Community Award was presented to The Hop Pole in recognition of their valuable contribution to the green landscape of Retford by developing not only the floral displays around the pub but also the bank of the Chesterfield Canal for the pleasure of the community. Bassetlaw Parks and Gardens Dept. Special Individual Certificates of Appreciation were awarded to Andy Burton For his volunteer work in King's Park and to Jane Brown for developing Hallcroft Children's Centre Garden.